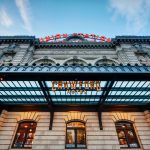 Snooze AM Eatery at Denver Union Station is our favorite place get brunch when we’re in Denver. 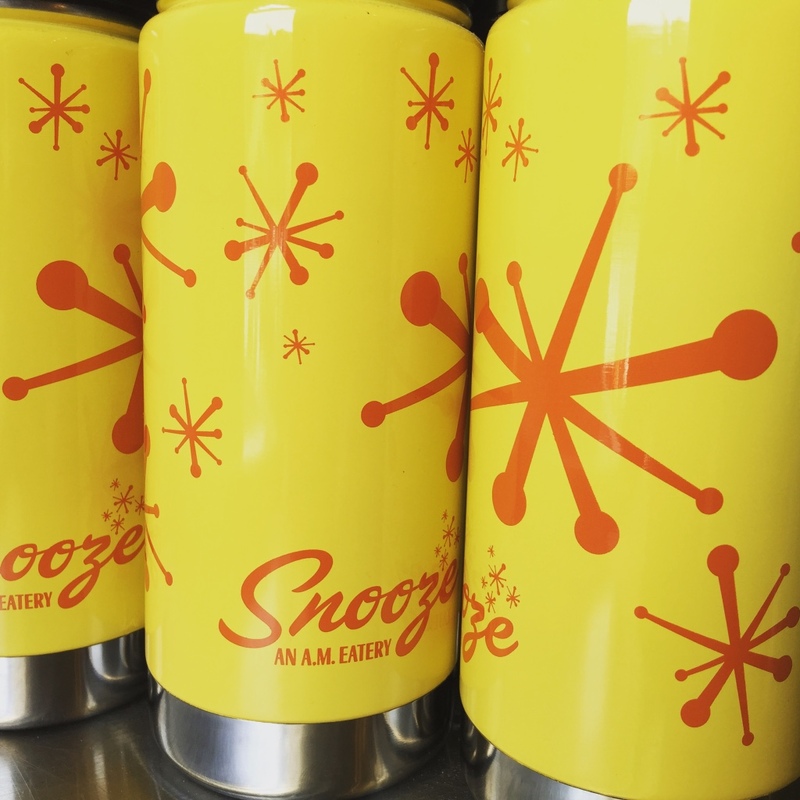 My son is especially crazy about Snooze which is super kid friendly. 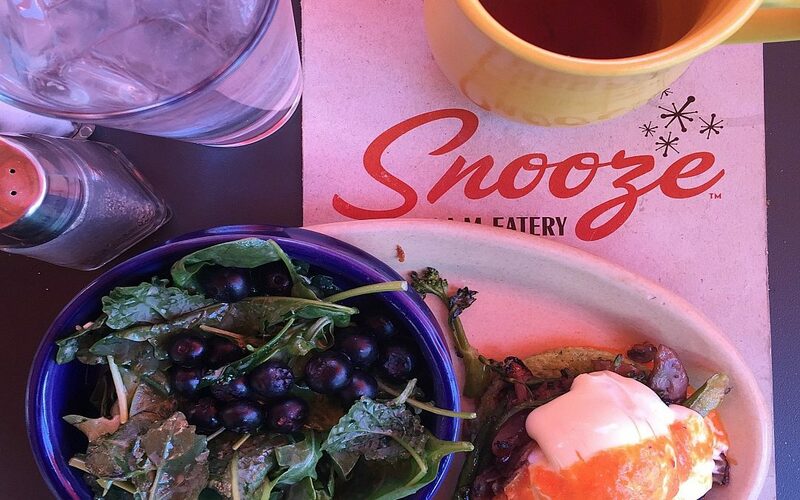 There is something celebratory about Snooze. 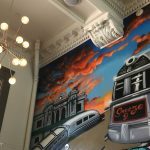 It’s a little bit like a diner out of the Jetson’s set in this spectacular location. History meets Future. 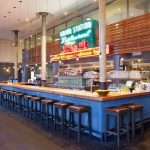 You can’t go there and not have a good time. 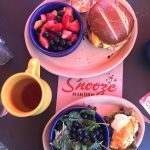 The vibe at Snooze AM Eatery is energetic and fun. 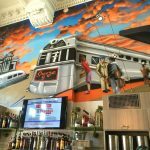 I love the train mural over the bar and I’m wild about the starburst motif. 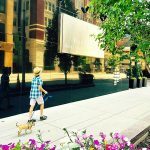 Bright yellow, orange and green are colors to wake you up and get you going with a positive step forward into your day. My son is bananas for the pancakes at Snooze. 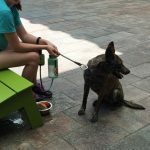 He’s tried several varieties from classic blueberry to peanut butter and chocolate. 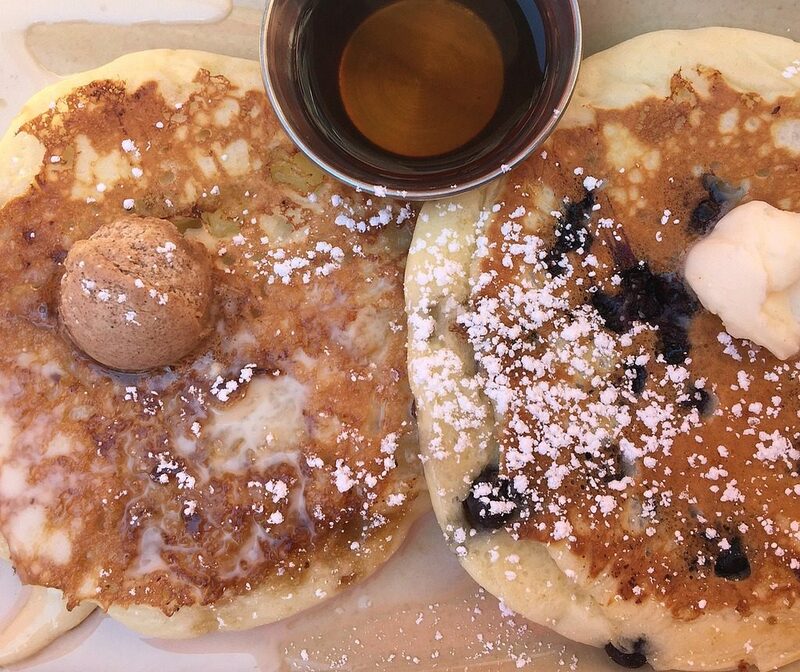 I managed to get a bite of the classic buttermilk blueberry pancakes and they were fluffy and delicious. 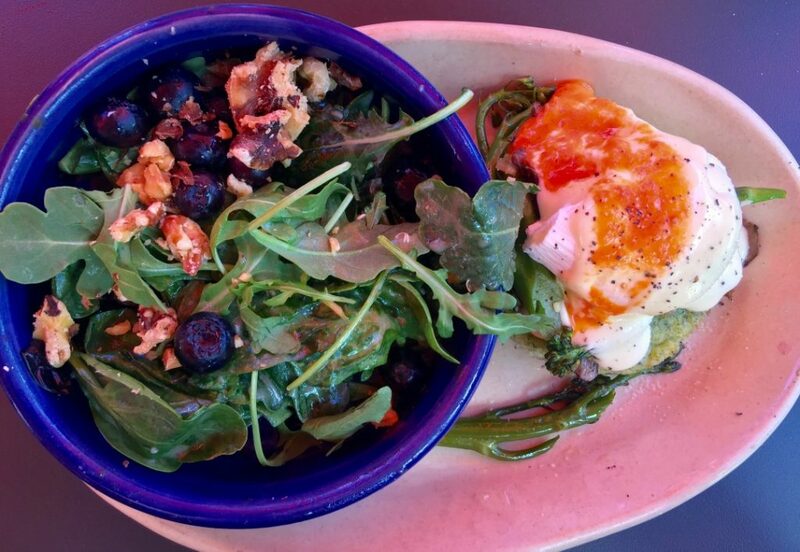 I’m a huge fan of the Eggs Benedict served with a yummy Kale Salad with fresh blueberries. 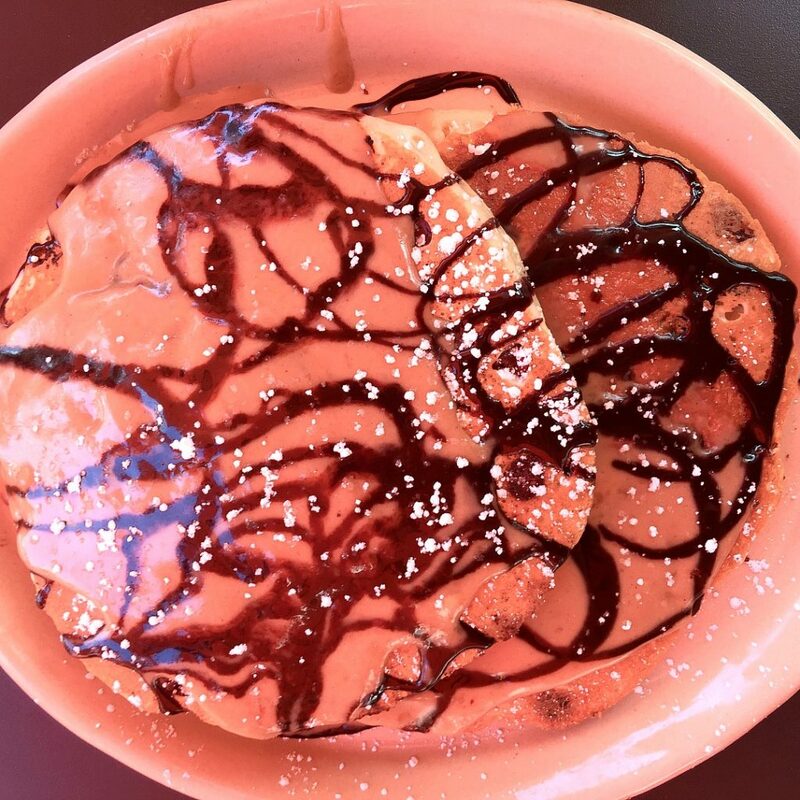 This is an ideal brunch for me. They have about three different kinds of hollandaise sauce and I loved the smokey cheddar version. 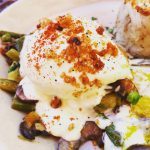 The grilled broccolini and mushrooms were full of flavor and complimented the eggs perfectly. 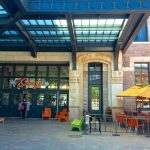 The patio is my preferred seating area because I think food usually tastes better outside. 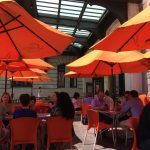 Bright orange umbrellas are cheery and the Union Station location is gorgeous. 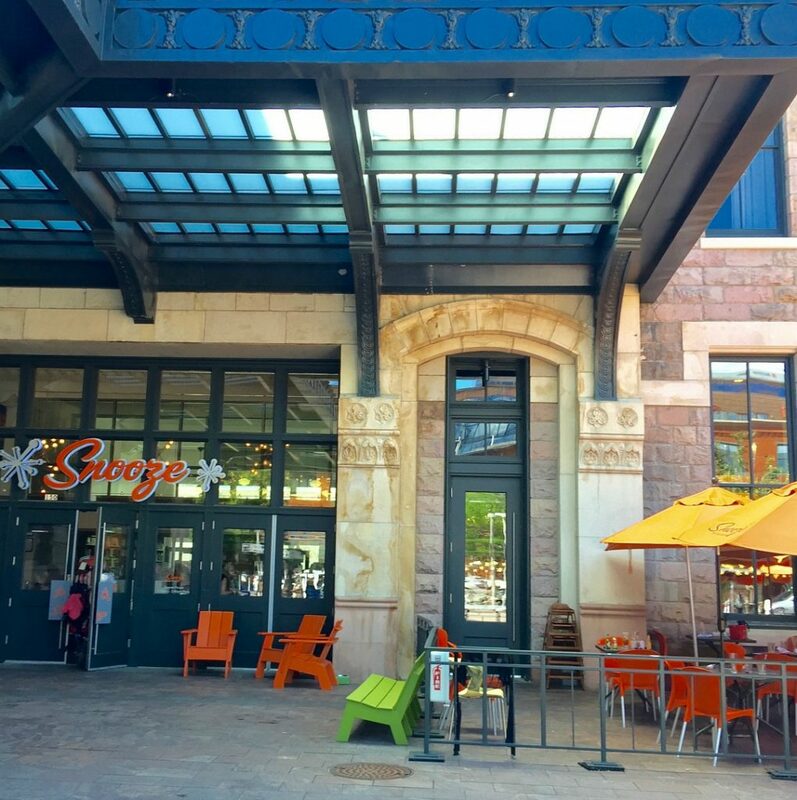 Snooze has bean bag toss games set up outside for those waiting for a table. 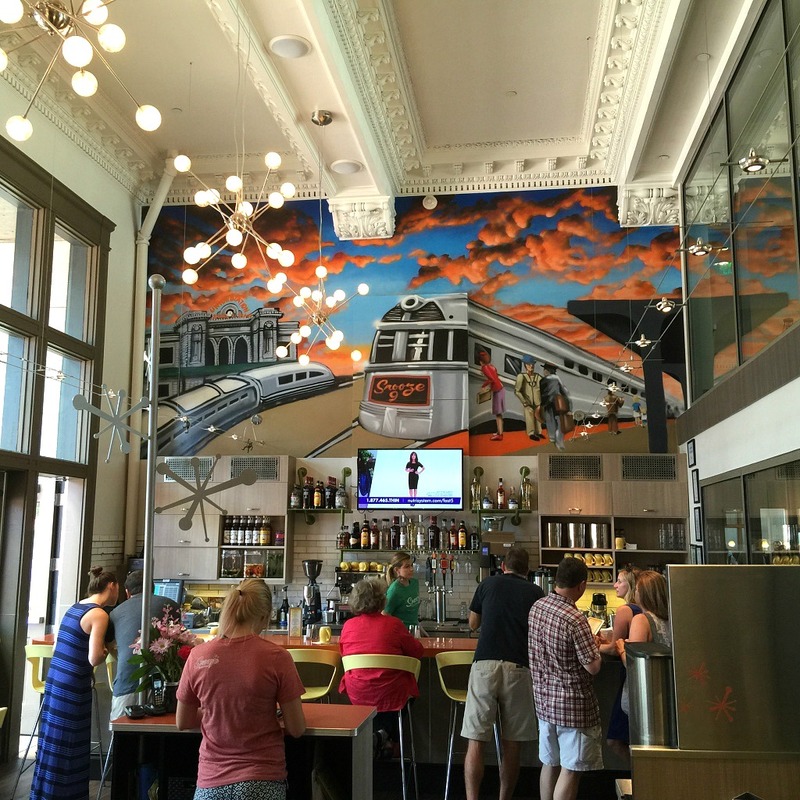 If you are staying at The Crawford Hotel in Devner Union Station, you can get Snooze as room service. 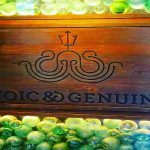 Isn’t that fabulous?! 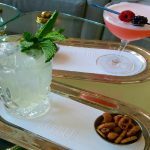 Also, you can get a table reservation (otherwise unavailable) through the hotel. 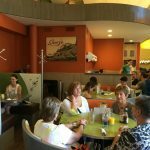 I recommend enjoying breakfast/brunch in the restaurant or on the patio–it’s just a fun, happy place to be. 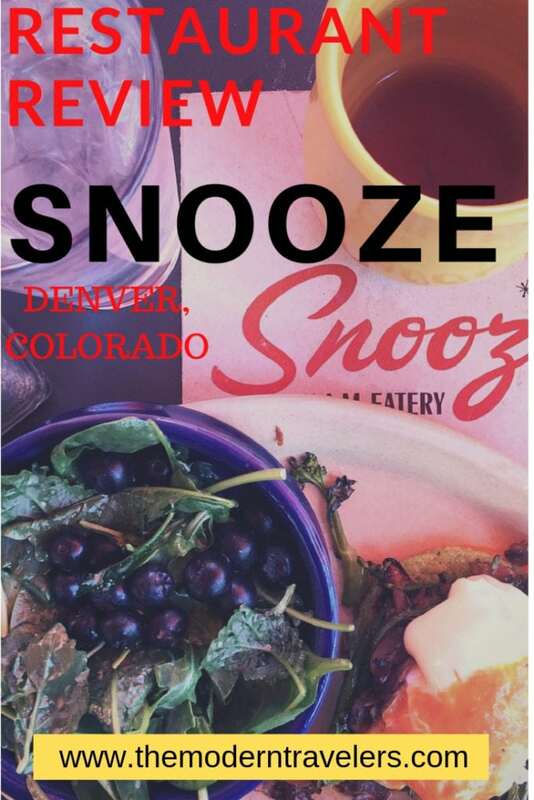 Snooze offers delicious, affordable breakfast food to fuel you up for a day of Denver adventures. 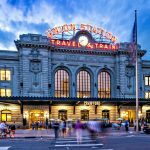 The Union Station location is fabulous, you can grab a meal before heading to the airport, or upon arrival into Denver. 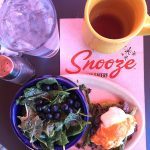 Find out more on the Snooze AM Eatery website HERE.